Consultlane Business Solutions Pvt. Ltd. (Volody.com) today announces signing a Strategic Alliance agreement with Marketplace Technologies Pvt. Ltd.
Volody is a leading enterprise software company with solutions for compliance, legal and secretarial functions under the brand Volody. Consultlane has pioneered the concept of having a bouquet of software products catering to specific needs of corporate India. These products help corporates to digitize and automate compliance, legal and secretarial functions. Volody's products are already used by more than 1,000 businesses, including listed corporates, PSUs, MNCs, SMEs and start-ups. Marketplace Tech Infra Services Private Limited (wholly owned subsidiary of BSE) is an established player in e-enabling the businesses in financial services sectors and a leading provider of cutting-edge IT solutions with a focus on commodities, banking and financial services markets in India. Marketplace Tech and Consultlane are jointly on a mission to help corporates institutionalize compliance culture and bring in digital format to compliance, legal and secretarial function. Compliance is at core for all businesses with any non-compliance can even risk the existence of business; corporates are keen to have a digitized solutions for legal and compliance functions. 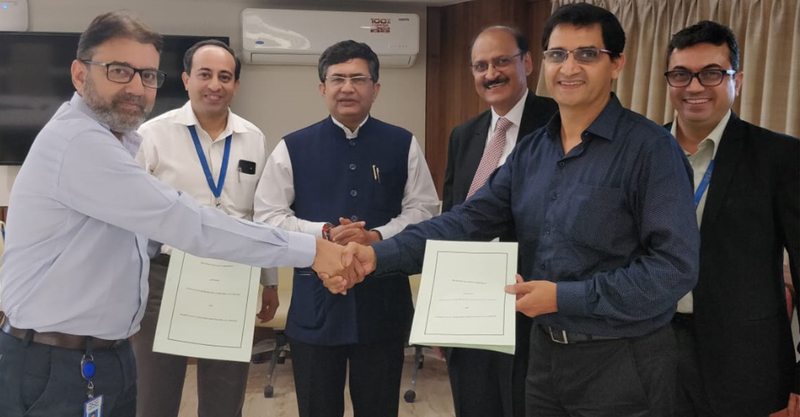 The partnership of Marketplace Tech and Consultlane will help in penetration of Volody's products across all businesses in India and inculcate strong governance and compliance culture. With ever growing 50 million businesses in the country, there is a strong need of robust, cloud-based enterprise software to fulfill the needs of secretarial, compliance and legal automation. With the Government of India also pushing for digitization and strong corporate governance, it is the need of the hour for businesses to adopt technology for managing compliance, legal and secretarial functions. With products like Compliance Management, Contract Lifecycle Management, Litigation Management, Secretarial Automation and Digital Board Meeting Software, Volody is at the forefront of meeting digitization needs of businesses. It can help businesses digitize their legal, compliance and secretarial functions in one go by implementing Volody's products. "We are super excited to have an alliance with Marketplace Tech. Compliance digitization has immense potential. With the reach of Marketplace Tech, we are absolutely confident that Volody's products will reach to all businesses. We are looking up to implement our solutions to listed corporates, MNCs and SMEs in India," said Dinesh Sharma - Founder of Consultlane Business Solutions. Shri Ashishkumar Chauhan, Chairman, Marketplace Tech Infra Services Private Limited, said, "Healthy compliance culture is a synonym for strong governance and goodwill of Indian corporates. We are pleased to join hands with Volody to offer robust compliance solutions to corporates in India." "Volody has developed a good understanding of our process and found a way to successfully automate our secretarial and compliance requirements. We are satisfied and happy with the Volody Secretarial and Compliance Management software." "We deal with 1000+ contracts annually, keeping track and getting updates from businesses is a tough task. Volody team helped us solve this problem and provide us with a complete contract lifecycle management solution. Now our legal team can be on top of all the agreements and effortlessly draft and execute them. I'm likely to recommend Volody." "Thank you for the efforts. Please also thank the team and I look forward to you continuing to support the team here in future." "Volody solution helped in automation of compliances at SIDBI and its subsidiaries." "My grateful thanks to all of you for your focus and time commitment to understand Centrum’s requirements in terms of the deliverables from this software and the customisation that was done to meet the same. Your efforts have resulted in Centrum having a utility that now seamlessly manages the legal, secretarial and compliance requirements at the group level, enhancing team efficiency and productivity.Wish you success in your future endeavours." "With the help of Volody, our Contract Management, Secretarial and Compliance process have become very smooth and we are getting timely reminders on the compliance before the due date, this helps us to remain compliant all the time. Conducting a board meeting has become an easy process with complete protection of critical board information and exchange of meeting documents is happening through the software in an efficient way. Great after sales support."